Jenny Leith from the organizing team reports from the most popular blackcurrant festival Down Under: the Sarau Blackcurrant Festival. In late 2007, members of the Upper Moutere community in rural Nelson, New Zealand, got together to plan an event which would bring crowds and attention to their beautiful valley. They had a newly established Community Centre which needed to be used adjacent to a large sports domain. The decision was made to hold a country fair. And when we looked for a focus, we realized that this was an area known for its blackcurrant plantations. The Sarau Festival was born. 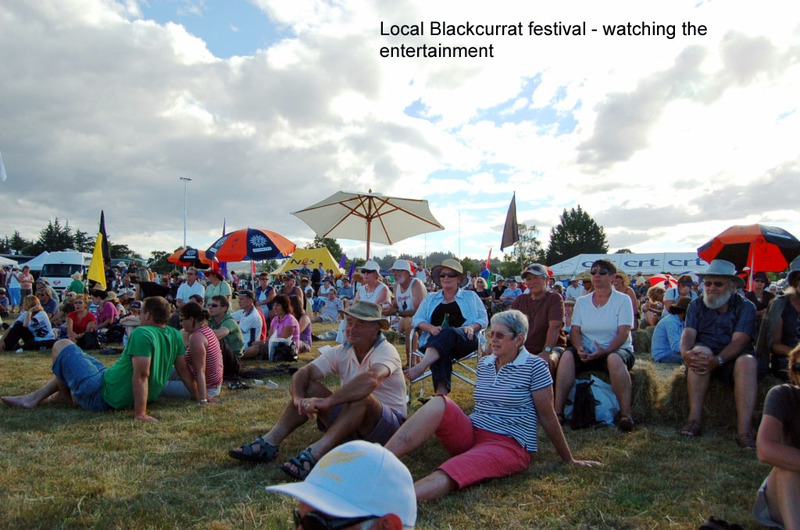 A festival held immediately post-harvest to celebrate the amazing qualities of the New Zealand blackcurrant. 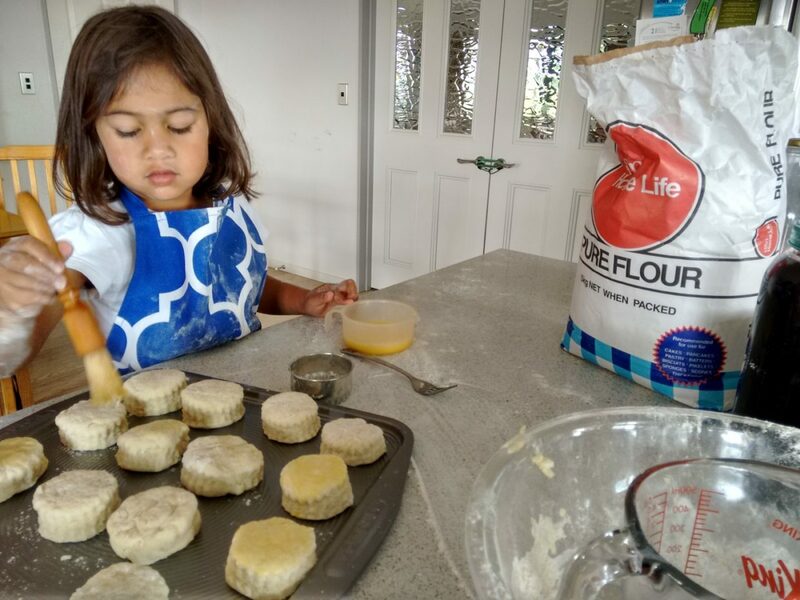 It was combined with a Country Fair to enable the many talented artists, crafters and growers who live in the valley to showcase their wares to the wider Nelson and New Zealand community. The first five festivals included a stunning 27km cross-country bike ride. It led through 8 different horticultural crops and ended in the midst of the festival. This event was keenly sought after by regular cyclists and those who just wanted to see more of the area by going off-road. In the last 3 years, a 12km (flatter) version of the ride joined the first version for those not quite so used to hill climbs. 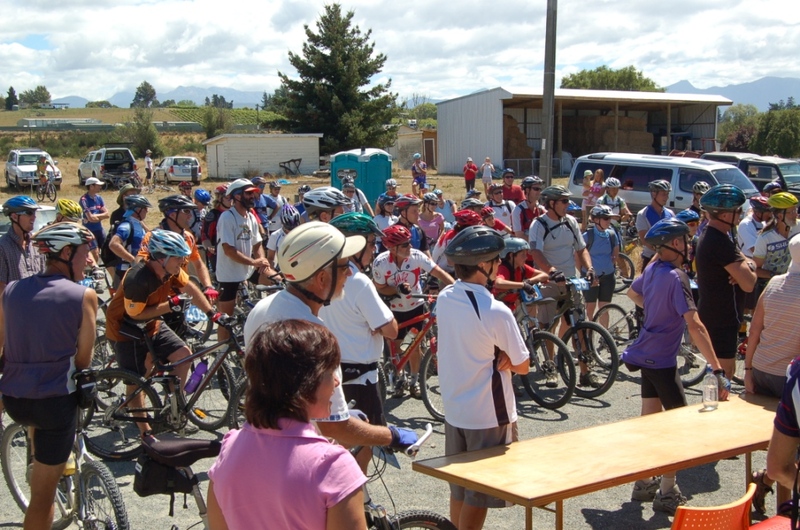 Once mountain biking became a regular part of our Nelson landscape, the interest in this event faded and the organizers made the decision to remove it from the festival events. With the emphasis on healthy living, the Festival used blackcurrants in their various forms to promote this focus. We had speakers and ran workshops looking at eye and gut health, longevity and muscle recovery after sport and surgery. We looked at how to grow currants, sold and gave away plants, and demonstrated with harvesting machinery. More popular still was the blackcurrant cooking challenge with its 6 categories – baking, deserts, beverages, preserves, children’s, and innovative categories. We have been so grateful that for 11 years, Barkers of Geraldine have supported this event by providing blackcurrant product baskets as prizes. Each year, a guest chef has demonstrated interesting and creative ways to use blackcurrants while cooking. This has been super popular and the hall is always full. Apart from these blackcurrant associated events, we have live music throughout, generously sponsored by GSK/Ribena. And approximately 100 stalls, each selling different arts, crafts, food and drink. There is a super active Kidszone and child care with associated activities and entertainment provided for younger festival goers. Indeed we have attracted festival goers from throughout New Zealand and the world. It has been a particular joy to welcome former growers Patricia and Peter Jeffares. They annually travel and join us from Co Wexford, Ireland. … and lots of passionate volunteers! The entire Sarau Blackcurrant Festival is run by a team of 40–50 volunteers who manage roading, parking, gate takings (still held at $5per adult after 11 years), marquees, sunshade, security, etc. Besides that, volunteers run a hugely successful book stall. 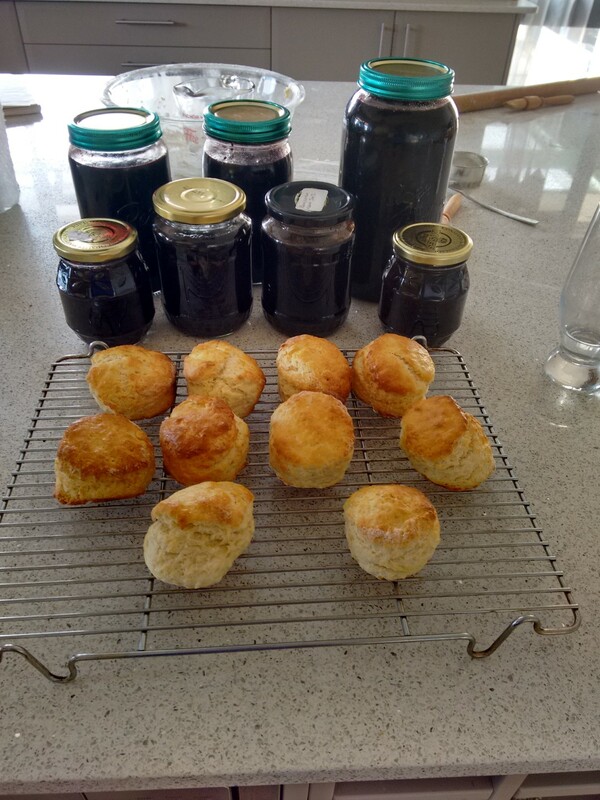 They also sell Sarau Cream Teas with all proceeds going to the community. The event takes place in the late afternoon. And as the sun goes down in the western hills after a mellow and fun evening for all, Festival goers drift off to their homes. 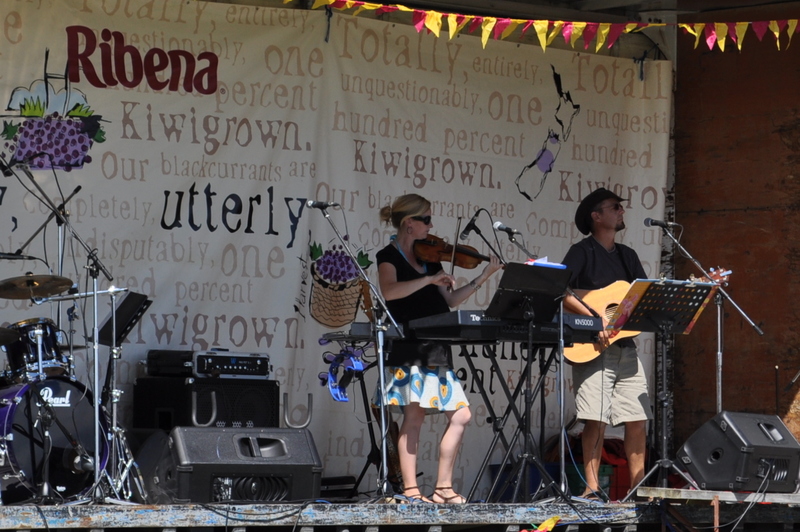 They have had another fun day in the Moutere Valley at the world’s first blackcurrant festival!